In a major setback for mining giant Vale, a judge has ordered an immediate freeze on expansion work along the Carajás railway, and sets a daily penalty of US$25,000 for any breach. The existing railway lies next to the forest home of Brazil’s Awá tribe, who have vocally contested the mining giant’s plans, which they say threaten their livelihoods and those of their uncontacted relatives. One Awá man said, "We don’t accept the expansion of the train line which passes right in front of our territory. It is really bad! It makes a lot of noise! The hunters can’t find any game; the animals are scared off". But the railway isn’t the only threat to the tribe’s survival. 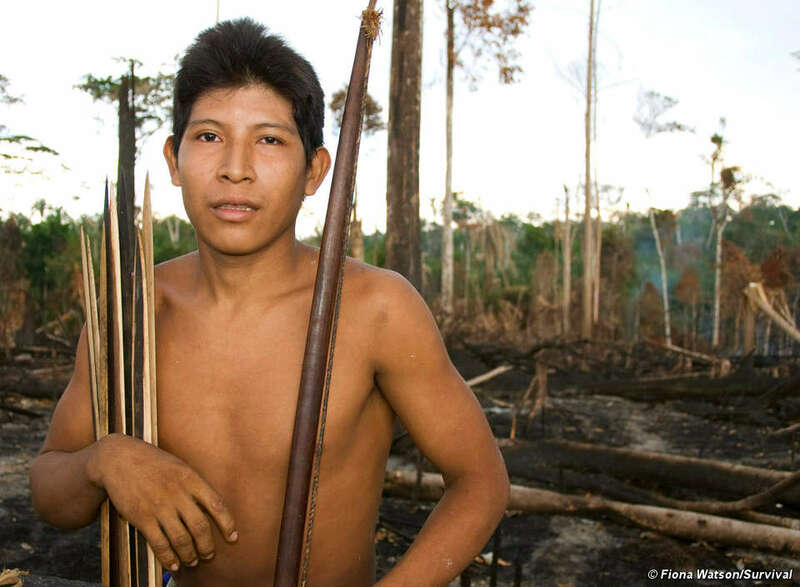 Despite assurances from Brazil’s authorities, the Awá’s way of life still hangs in the balance, threatened by Loggers, ranchers and settlers– we need action.